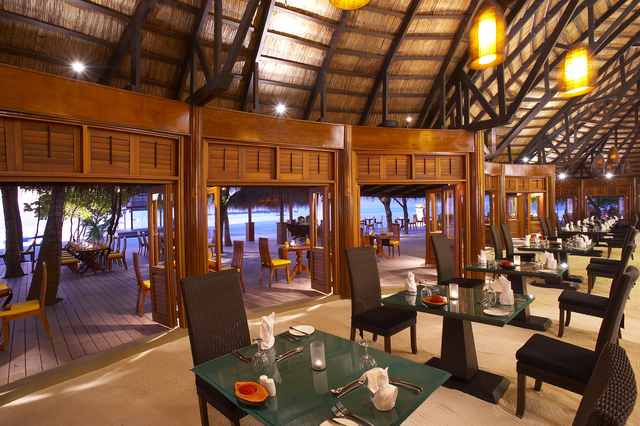 With indoor and outdoor seating, the Kaani main restaurant serves European and Asian inspired set menus and themed buffets revolving around unique concepts such as Maldivian nights, Mediterranean nights and more. 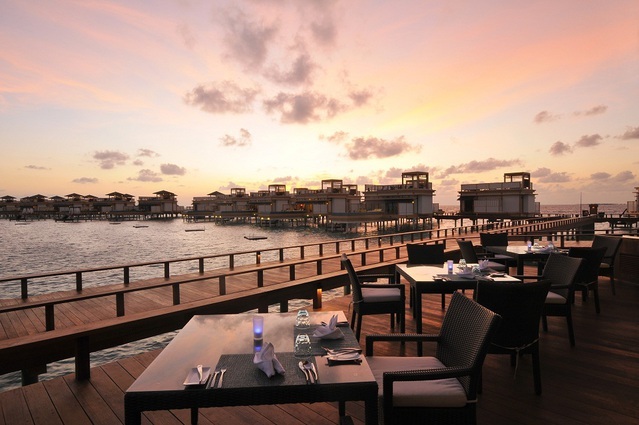 Specialising in the freshest catch, this lively seafood and Mediterranean restaurant is located at the end of the main arrival jetty over the translucent turquoise lagoon. 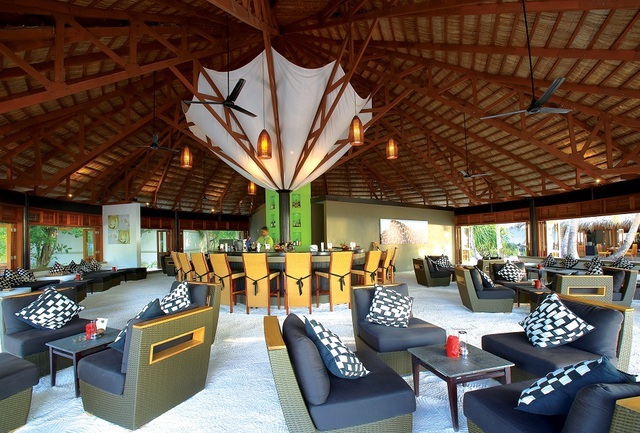 Located in the cluster of new InOcean Villas Azurro is an Italian gourmet restaurant and bar which caters exclusively for guests in the InOcean Villas. 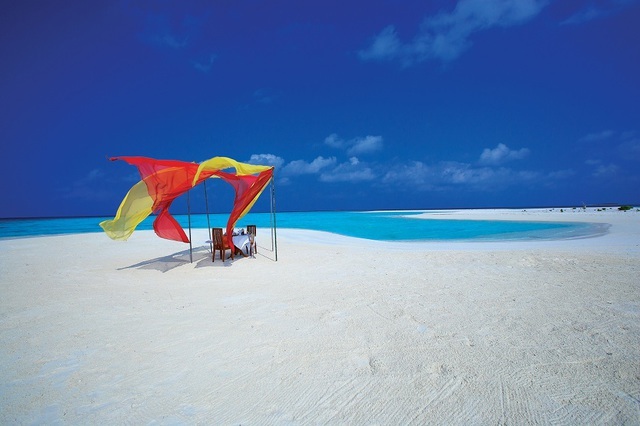 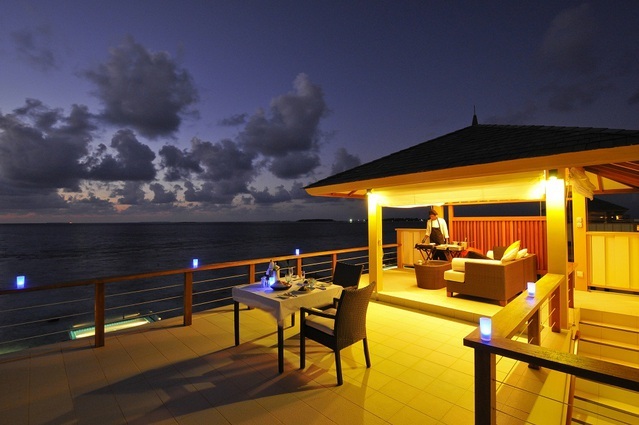 Beautiful setting with deck and loungers overlooking the lagoon and Velavaru island. 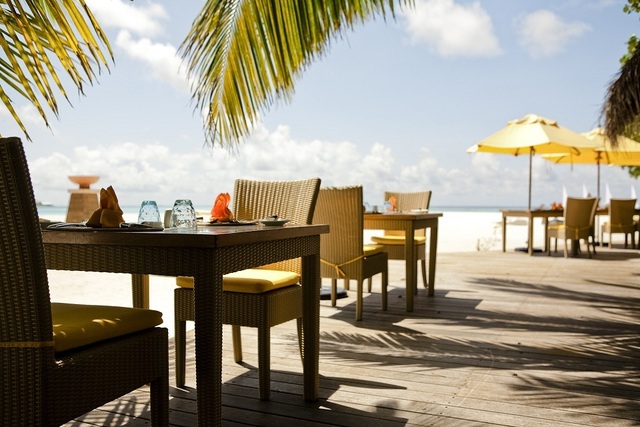 Enjoy watching the seaplanes take off and land as you sip a refreshing drink. 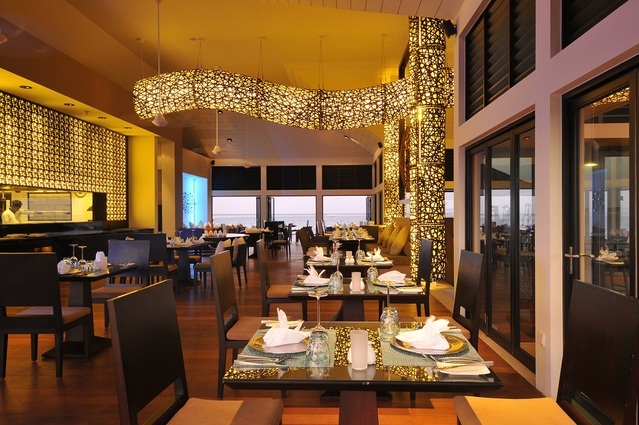 With an all day dining menu offering a choice of finger food, deserts and main courses like beef tenderloin, Thai noodles and pizzas, Kuredhi is the place to chill out. 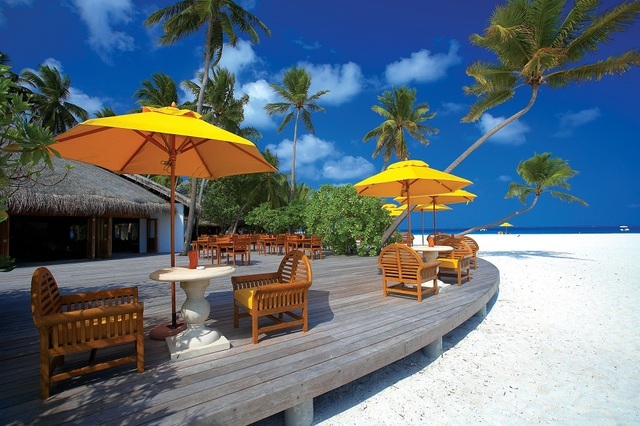 A classic 'sand-between-the-toes' place where you can relax at the bar on a sunlounger on its deck overlooking the fabulous beach and lagoon. 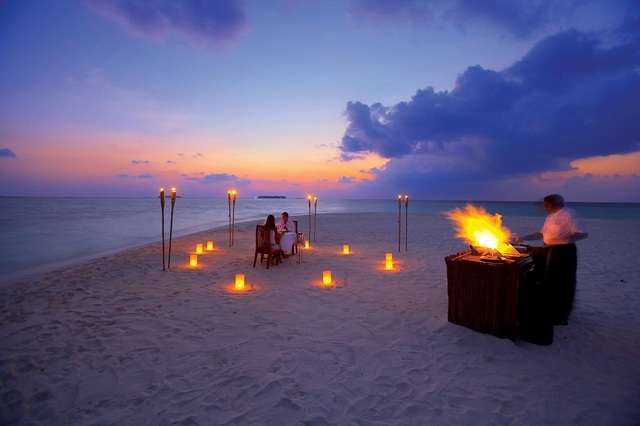 Dine romantically under the stars in the privacy of your own villa, order from the set menu or try the special outdoor barbecue. 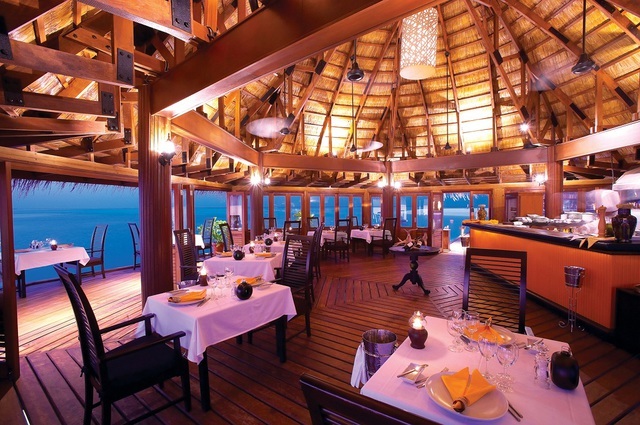 Embark on an adventure in this exclusive dining option. 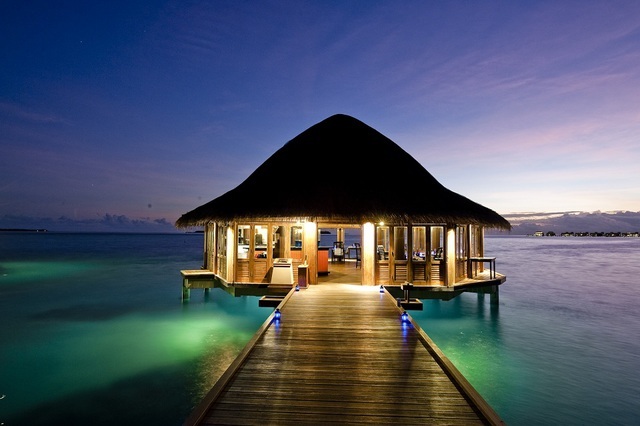 Take a scenic boat ride to your own private island where you are welcomed by an array of Maldivian specialities prepared by your own chefs.